Lisey Debusher Landon lost her husband, Scott, two years ago, after a 25-year marriage of the most profound and sometimes frightening intimacy. Scott was a celebrated, award-winning novelist and a complex man. Lisey knew there was a dark place where her husband ventured to face his demons. Boo'ya Moon is what Scott called it ¿ a realm that both terrified and healed him, that could eat him alive or give him the ideas he needed to write and live. Now it's Lisey's turn to face her husband's demons. And what begins as a widow's effort to sort through her husband's effects becomes a perilous journey into the heart of darkness. 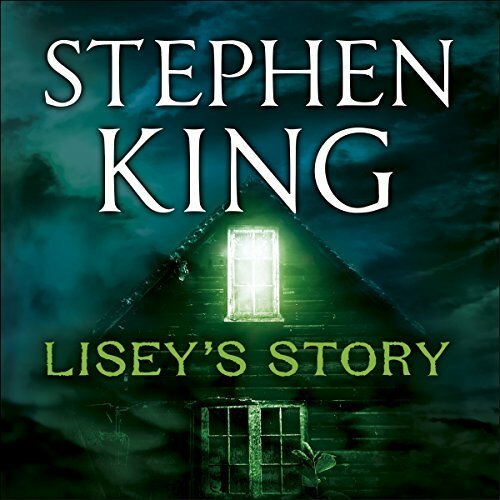 Perhaps Stephen King's most personal and powerful novel, to date, Lisey's Story is a beautifully textured suspense narrative about the wellsprings of creativity, the temptations of madness and the secret language of love. What did you like best about Lisey's Story? What did you like least? What about Mare Winningham’s performance did you like? Do you think Lisey's Story needs a follow-up book? Why or why not? 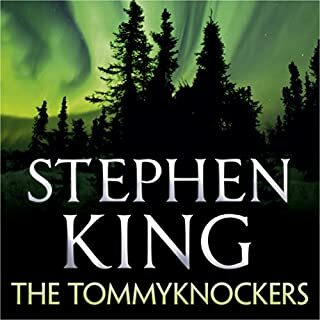 I was enthralled with another journey Stephen King has taken me on. I found a tear rolling down my cheek as the journey ended. My mum used to say that this man was from another planet. I tend to agree with her now. Absolutely beautiful story. Thank you Steve :) Perfectly presented by Made Winningham. Sad to be finished. Lovely tale, with a few great baddies. This book gets a 2.5 rating from me. While the blurb does not lie in what the book entails, I was expecting a more conventional horror story of a woman's journey into a dark realm. I was disappointed when I realized a third of the way into the book that it is the story of a widow's journey to find closure in the years following her husband's death. While this journey is metaphorical and literal, it is not what was expected. I found the majority of the story boring and uncompelling. Having said that, it wouldn't be a King book without it's charms. As one reads further into the book, it is clear that this is the husband, Scott's story as much as it is Lisey's. I was moved by a few moments, particularly Scott on his deathbed and his final goodbye in the form of a last manuscript written to Lisey. These moments are to be applauded because right from the very start, we know Scott is dead already. The way King makes us feel for a character that is only fleshed out through flashbacks and thoughts is quite something. Mare Winningham's narration is fantastic. She breathes life into all the characters and does a superb job of protraying Lisey especially. This is probably a book more for the ladies. It was ok, but not what I'm used to from King. I took a chance. It kind of fell through. Take from this review what you will. But you may enjoy it more than I did. 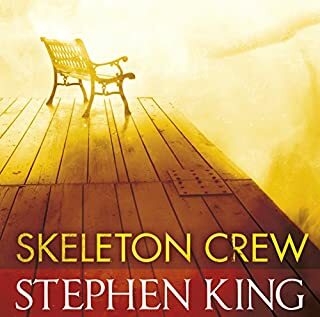 I'm not a fan of horror fiction but I appreciate good writing and Stephen King's writing prowess truly shines through in this book. The relationship between Lisey and husband Scott is romanticised but the tender moments between them are extraordinarily moving. The real tour de force of characterisation is the expose of relationships between Lisey and her sisters. The sister are three of the most real characters I've found in King's books and there's nothing romanticised about them. Oddly enough the weakest part of the story is the supposed horror sections with the 'long boy'. They're rather clunky. For me the real horror was the backstory dealing with Scott's father. 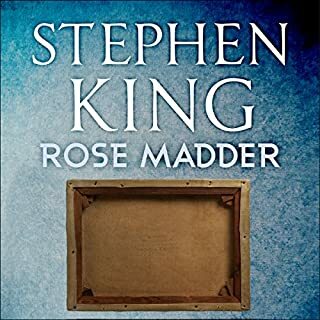 I couldn't help but feel this would have been a truly stellar book if the material had been treated as a psychological thriller and the 'horror' left on the cutting room floor. That said, it's a book I re-read because it's so well written. What disappointed you about Lisey's Story? Very slow pace of narrative. The story often looked like it was going to takeoff only to bumble along in the weeds again. Unlikeable charecters combined with a deathly slow pace that never goes anywhere. 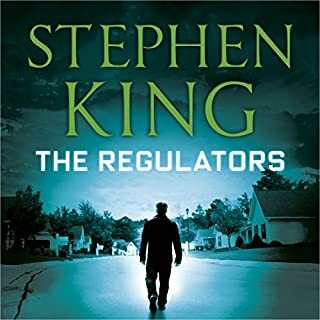 I find it incredible that The Green Mile, The Stand and many other great reads were written by the same man, its such a change in tempo. Has Lisey's Story turned you off from other books in this genre? No. 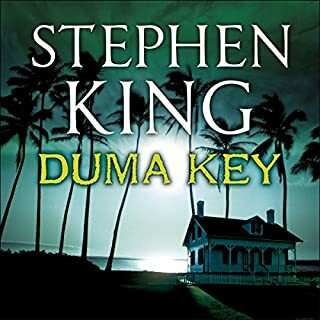 I still like Mr King’s work and will continue to read and listen to the stories he writes. I still prefer his earlier work though. What does Mare Winningham bring to the story that you wouldn’t experience if you just read the book? Excellent delivery. It was only her narration that kept me going through a very turgid story line. Some quirky ideas were good. Looking at the reviews, many people have liked this book, so as ever, every individual will need to make up their own minds. But if you like his earlier work, you may be disappointed in this. I felt Mare Winningham really added a lot to the character and felt her performance was excellent. If you could take any character from Lisey's Story out to dinner, who would it be and why? 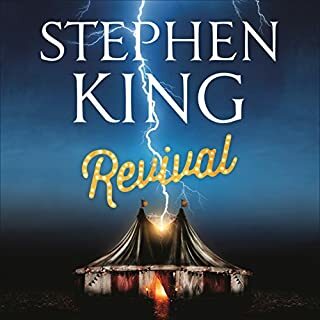 Stephen King never fails to deliver! What made the experience of listening to Lisey's Story the most enjoyable? The whole story was like none I have ever read. I loved it! The characters, as always with Kings books are totally unique. Scott was such a brave little boy. Even to the end he still loved his father. She ignited the characters! They were real separate people. I didnt want to stop listening! Even when I finally got to the end I felt I could start again at the beginning and be just as enthralled the second time as the first. Liseys Story really is that good! I persevered with this until the end because I'm stubborn and had read about other people giving up on the paper version of the book. I was expecting more, but this was Stephen King on auto-pilot. Perfectly competent. Shades of the Talisman/Territories, but without the true magic. It's a great way to while away a long, long drive, but felt a bit like hard work towards the end. 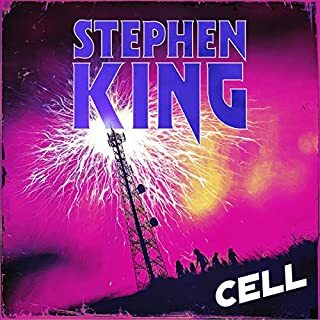 Possibly for die-hard King fans and completists? 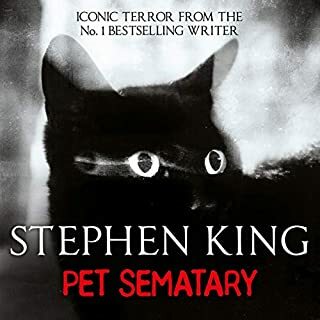 I haven't read a Stephen King book since 'Pet Sematary' more than 10 years ago. But the reviews of this book encouraged me to give it a go and I'm glad I did. The narrator was wonderful and really brought all the charaters to life. I listen to my books on the way to and from work and I have sometimes sat in the staff car park just to get to the end of the chapter. i really enjoyed this - quite different from some of his other stories - it was totally beliveable. at first the reader annoyed me but after a short time it seemed the right choice - this story suited her. i can almost believe that there is such a place as 'Boo'ya Moon' the sadness of his brothers life and of his own plus the despair - all conveyed masterly by King. 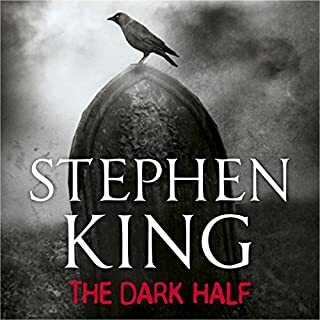 however this is still quite a dark novel as are most of his - so it wont disappoint! 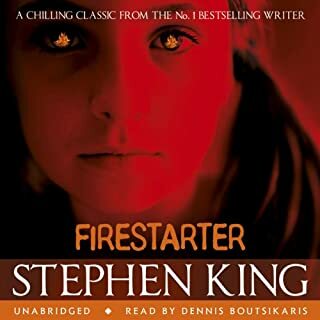 As a huge Stephen King fan - and a 'constant reader' of his novels this was my first audio version of one of his books. I have to say that when it first started I was a little disappointed as I wasn't really sure which way it was going. However, I soon became enthralled as ever. In fact I got so enthralled - I normally have a 15 minute book slot to and from work - that I deliberately waited until going on a long car journey one weekend so that I could listen to the last section as I found that I couldn't cope with Mr Dooley's second visit in small snippets. Normally with a hard back book I'd sneak a peak at the end just to see how it turned out. No chance of that with an audio version. I love all (well, almost all) of Stephen King novels. This is one of his best. I felt such pity for the boyhood of Scott Langdon and for Lisey's loss of a husband, lover and friend. The insight into Scott's boyhood, adult mind and subsequent novels was brilliant. Will have to listen to it again and again and again. 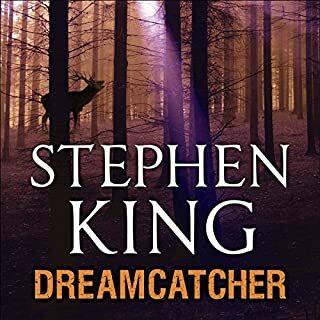 I love Stephen King but have got to say I was disappointed with Lisey's Story, I found myself drifting off frequently and had to keep rewinding because it just didn't keep my attention. To be honest I was relieved when it finished. I did enjoy this novel, although it takes a while to start and the whole narrative arc is quite slow. 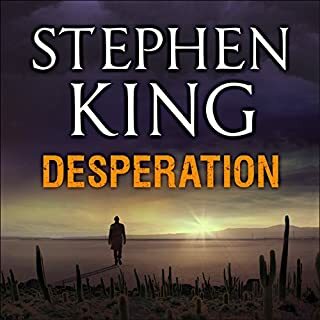 I would not recommend this to someone who is looking for a typical Stephen King novel. Still, his style and his characters make it worthwhile. It also explores some interesting themes (madness in particular). Mare Winningham's voice certainly adds to the story. 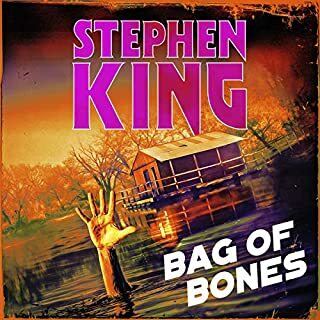 I've listened to other Stephen King novels and I have to say if I had to recommend one, I'd say go for 'Bag of Bones' instead. It's not a dissimilar story to this but more compelling. 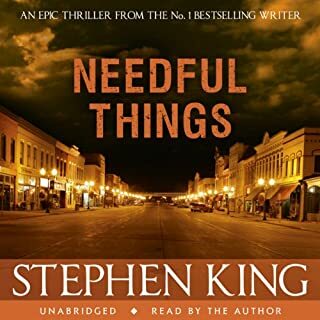 I liked this book - a very absorbing and moving tale and exemplifying Stephen King's gift for telling a story with a lot a good characters. My only minor beef is that I thought the book too long. 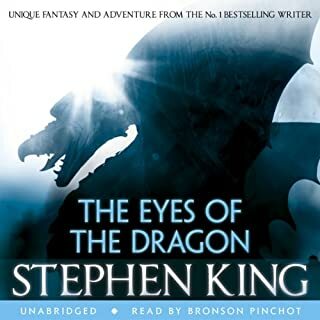 Narration takes a bit of getting used to, but in the end the narrator held the book together for me and she does a first class job. 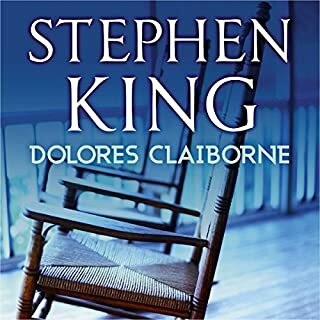 Not Stephen King's best, but well worth listening to nonetheless. once again the master of suspense delivers. A bit slow at the start, but soon kicks in. 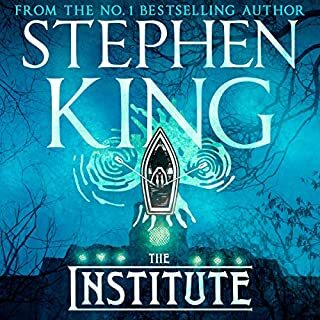 Stephen King has the uncanny knack of making his stories believable - no matter how far fetched! Listen to this and i guarantee you'll say 'schmucking' at least once within the day!! I did find this VERY confusing for the first 100-150 pages. This put me off the story and I wanted to give up. However, I decided to get the audio-book and see how that goes. I really liked Lisey and Scott. I loved Lisey and Scott’s strength throughout, I loved the love they shared. I loved them as a couple. I could relate a lot to Lisey in terms of loss and the pain that comes with that. There was a few quotes in this book that meant a lot to me and will stay with me. 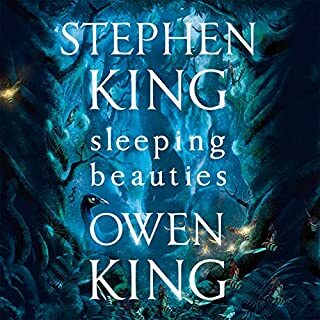 It was an entertaining story, I just feel that with it being hard to get into and finding it confusing quite a few times I couldn’t enjoy it as much as I would have hoped.